age for correspondence and friendship. I am seeding to create a great and wonderful success story that honors my victim, family, friends, the community, and God! Are you willing to be a participant in my future success? 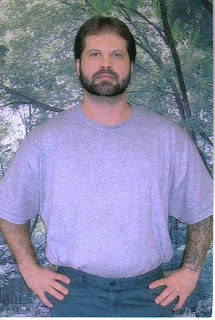 I am serving my 20th straight year in prison for having caused the death of my mother-in-law during a struggle over possession of a handgun. I take full responsibility for my crime and am doing all I can to heal the harm I caused others. I am no longer the person I was! BPICK program that is set up to deter at-risk youth from enter­ing the state's prison system. I like to work out, play basketball, softball, and volleyball. I do religious/Christian-based studies and pray on a regular basis. I am very thankful for my life, the bad and good. I present an opportunity for you to make a positive difference in my life! I want to succeed with the rest of my life and with your participation I will! Life is great, marvelous and wonderful. Moments happen as they are ment to. People are who they are ment to be. Every moment is new within, without. Every person renews and becomes who they are intended, Life is great, marvelous and wonderful. 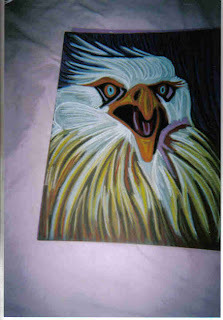 Two artwork photos of oil pastel drawings, eagle & flying hearts. 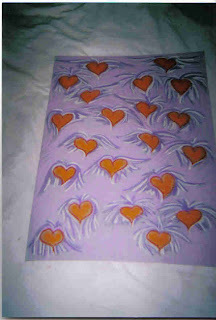 Artwork was sent to the Netherlands for sale.